Help people choose a healthy life by introducing Metamucil in a very unexpected way. Metamucil is one of the simplest options to improve your health, on top of the other small things you do every day. Simply mix a spoonful of Metamucil in a glass of water, stir and its ready to drink. It’s a surprisingly simple daily choice that helps regulate bowel movements, and it’s 100% pure natural fiber. In a nutshell, Metamucil is a miracle of its own. The benefit of fibers and Metamucil are still not very well known in Latin America. Metamucil knows that people there, like in many countries, no longer watch TV or read newspapers, so they would like to create a buzz about their brand using a different medium, to capture people’s attention and encourage them to try the product. 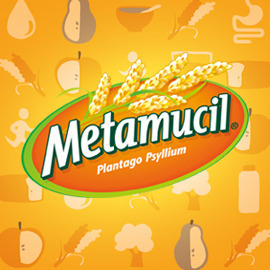 Beyond just advertising, can you create breakthrough and awesome ideas for activities that will get Metamucil’s message of “make healthy decisions, take Metamucil!” noticed? Get creative and submit your entries by 14 September 2014! Looking forward to seeing your entries!